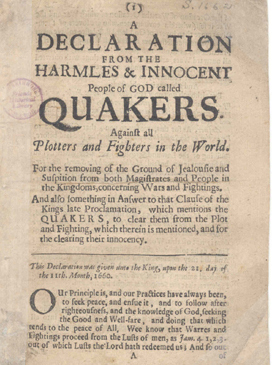 For over 300 years the Quakers have been working for peace and acting as mediators. There are many organizations that claim that they work towards peace, but few can match the experience and skill of the the Society of Friends, popularly known as the Quakers. The Quakers have been mediating peace for over three centuries from the colonization of North America, through the American War of Independence and the Crimean War, to the Nigerian civil war, the independence of Zimbabwe and conflicts in today’s headlines. There work is largely behind the scenes and often not reported unlike today’s politicians who create public and media savvy trails of their peace efforts. The quakers do their work behind the scenes. The Society of Friends was founded in England by George Fox, almost 350 years ago at a time of religious turmoil. Fox made the then unheard of revelation that God is accessible to each person directly, and that people did not need a single person – such as the Pope – to be with God. He further explained from his revelation that experience is more important than any words or form of worship. According to Campell Leggat, an author regarding international diplomacy, the central concept of Quakerism to this day is that each person has within them `that of God’. Today they are perhaps best known for their commitment to pacifism and for their work for peace. This has been a source of controversy since long before World War II. As early as 1678 a Quaker, Robert Barclay, was found to have efforts at mediation. He wrote advice to the ambassadors of the several princes of Europe, urging them to give up their evil ways. The first recorded instance of Quakers being involved as “mediators”, was in 1850, when Joseph Sturge and two colleagues tried to bring peace between Denmark and the duchies of Schleswig-Holstein. Although they had personal success, their mission failed because they failed to take into account the global balance of power. The Quakers were among the first non-governmental organizations to be officially accredited to the United Nations after World War II. According to Mr. Leggat, what the Quakers call `mediation’ is now often referred to by diplomats and international lawyers as `good offices’. 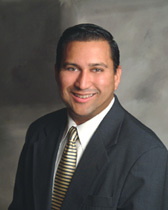 To be effective it requires a high degree of trust and confidentiality. Many of the most interesting stories cannot be told until years after the events, and then only with the agreement of the parties involved. Few tasks are more searching of the personal qualities and motives of those involved. One aspect of the Quaker approach was illustrated by three Friends who visited the Indian sub-continent following the 1965 Indo-Pakistan war over Kashmir. Impartiality is seen as an essential quality for third-party mediators, but it can also imply an aloofness which is not in keeping with the Quaker style of sympathetic listening. In this instance, the Quakers went for what could be called `balanced partiality’. Their mission report included sections on `the Pakistan viewpoint’ and `the Indian viewpoint’. In each, they expressed the historical facts and judgments from an insider’s, rather than an observer’s, standpoint. Readers on both sides later expressed satisfaction with the way their views had been portrayed, although they had grave doubts about the accuracy of the presentation of the other side’s views! Each must, however, have been aware that a report which so accurately understood their situation could not easily be ignored in its evaluation of their opponents’. Mediation can sometimes be a lonely business. No one knew that more than the Quakers. They never sought notoriety for their work; they simply moved to the next dispute. Perhaps in the times of modern organizations that are focused on bringing peacemakers together, the Quakers are the first and oldest Mediation organization in the world. To read more, and to see additional research see an article written by Campbell Leggat for the Initiatives of Change. Sargent Alvin York — The Movie Sargent York was based on him. Herbert Hoover — President of U.S.